If there’s one thing that came through loud and clear in our analysis of malware and other threats in 2017, it’s that, when it comes to cybersecurity, change is the only constant. While analysts, researchers, and security companies worked quickly to identify and block emerging threats, attackers were just as quick in finding new ways to evade defenses. Phishing attacks became more targeted and successful, and most phishing sites were only online for 4-8 hours. Cryptojacking gained traction as an anonymous and relatively easy path to profit, as did ransomware attacks, which made headlines numerous times throughout the year. High-risk IP addresses continue to cycle between benign and malicious to avoid detection, and the top 10,000 IPs most often associated with malicious activity changed status an average of 18 times throughout the year. As the volume and sophistication of attacks grows, the need for security solutions that use real-time threat intelligence becomes even more apparent. 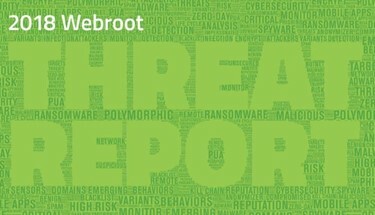 At Webroot, we know that, in this volatile environment, being reactive won’t keep enterprises and users safe. That’s why we’ve devised a uniquely proactive approach. Our patented machine learning methods help us analyze and correlate real-world, real-time data from all over the globe to not only detect threats in real time and automatically counter them, but also to predict where new threats are likely to emerge. Looking back over the breadth of historical data and threat trends we’ve accumulated, we can see how attackers think, and how they adapt to avoid defenses. 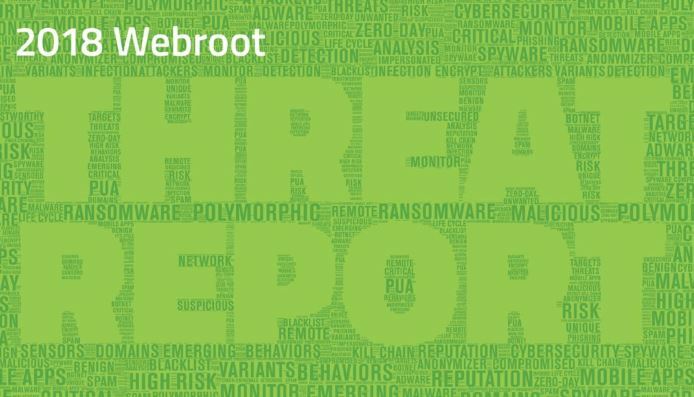 We build this understanding into our threat intelligence, forming the foundation for all Webroot products to secure the connected world. The 2018 edition of our annual Threat Report shares a glimpse into our discoveries and analysis of threat activity throughout 2017, to equip you with the knowledge you need to overcome modern cybercrime.